ORCHID COTTAGE - OWT Bettws Evan, self catering cottages with instant confirmed online booking. We have Self Catering throughout Ceredigion , Wales . Accommodation near all the attractions, places to see and things to do.......You are able to make an instant secure confirmed online booking. 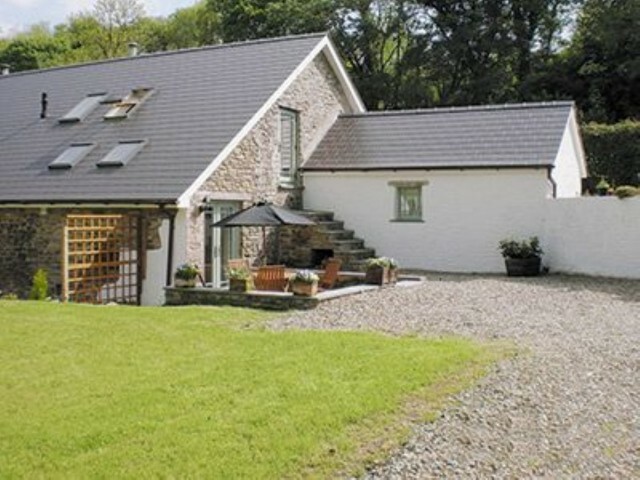 We also offer Ceredigion AND Wales travel and tourist information..
With views of the paddocks and stables, this fantastic property enjoys an outdoor terrace - perfect for a summer evening barbecue. . Cuckoo Springs Cottages are just 4 miles from beautiful, unspoilt beaches, the Pembrokeshire/Cardigan coastal path, quaint seaside villages and smugglers&rsquo; coves. St David&rsquo;s and Tenby to the south, and New Quay and Aberaeron to the north are just a little further afield. The three cottages (refs ONA, OWS and OWT) are situated on the owner&rsquo;s smallholding and guests can experience the &lsquo;good life&rsquo;, help with their rare breed animals, meet the pet pig Ollie and let Sam, one of the horses, take guests for a pony and trap ride. Alternatively, enjoy the peace and tranquillity of this secluded wooded valley, and simply relax in the large garden or stroll through the owner&rsquo;s bluebell woods and enjoy stunning views across the valley. The cottages date back to the 1700s, are decorated in a comfortable, country farmhouse style and all have wood-burning stoves. Bluebell Cottage and Orchid Cottage have a bathroom and en-suite shower room, making them ideal for families or two couples sharing. Bluebell Cottage also has a large four-poster bed and Juliet balcony, perfect for that romantic break. Champagne, chocolates and a pampering spa session can all be arranged for that special occasion. Free range eggs and home produced meat are often available, and there is plenty of space for dogs to run free, with delightful walks straight from the door. Shop 1 mile, pub within 1 mile.. Part of the same 18th-century converted barn this cottage has views of the pony paddocks and stables, its own attractive outdoor terrace, large shared garden and grassy area suitable for family games. Double bedroom with en-suite shower room and toilet. Twin bedroom. Bathroom with over-bath shower and toilet. First floor: Beamed living/dining room with exposed stone wall and kitchen. . Enclosed lawned garden and furniture. Wood-burning stove &ndash; fuel included Electricity, full oil central heating, bed linen and towels includedTravel cot High chairTwo Freeview TVsDVDStereo/CD MicrowaveShared laundry room with washing machine, tumble dryer and freezer DishwasherWi-fiShared 20-acre grounds with fields and woodlandBarbecue Ample parkingCycle storagePony and trap ridesStabling and grazing for guests&rsquo; horsesHome cooked mealsNatural spring water supplyNo smoking. Note: Properties ONA, OWS and OWT can be booked together to sleep up to 10 people.